Illes Formigues, Palamós, Spain; - 30 m. 03 May 2003. Conxi Rodríguez-Prieto (conxi.rodriguez@udg.edu). © Conxi Rodríguez-Prieto (conxi.rodriguez@udg.edu). Published in: Agardh, J.G. (1842). Algae maris Mediterranei et Adriatici, observationes in diagnosin specierum et dispositionem generum. pp. [i]-x, 1-164. Parisiis [Paris]: Apud Fortin, Masson et Cie. The type species (lectotype) of the genus Kallymenia is Kallymenia reniformis (Turner) J.Agardh. Lectotype locality: Cape Croisette, Marseille, France (Rodriguez-Prieto & Hommersand 2009: 145). Lectotype: Hb. Agardh, LD 24655 (Rodriguez-Prieto & Hommersand 2009: 145). Wynne, M.J. (2018). Regarding Kallymenia J.Agardh, 1842, Euhymenia Kützing nom. illeg. 1843, and the proposal of Croisettea gen. nov. (Kallymeniaceae, Rhodophyta). Notulae Algarum 76: 1-4. Rodriguez-Prieto, C. & Hommersand, M.H. (2009). Behaviour of the nuclei in pre- and postfertilization stages in Kallymenia (Kallymeniaceae, Rhodophyta). Phycologia 48(3): 138-155, 90 figs, 1 table. Vergés, A. & Rodriguez-Prieto, C. (2006). 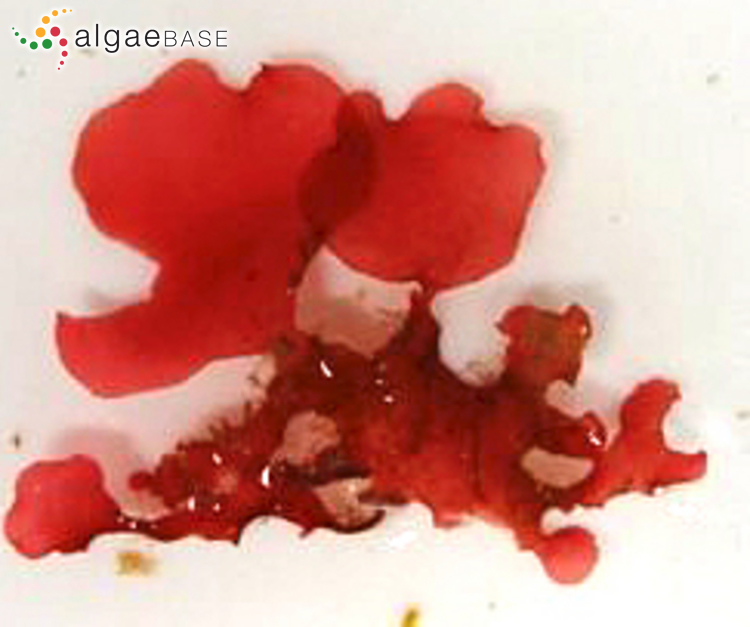 Anatomical characteristics and reproductive structures of Kallymenia lacerata (Kallymeniaceae, Rhodophyta) from the Mediterranean Sea. Cryptogamie, Algologie 27: 31-43. Accesses: This record has been accessed by users 1026 times since it was created.